Leading Manufacturer of centrifuge oil filter for vertical raw mill and cement mill oil filtration machine from Pune. We are glad to introduce ourselves as manufacturers of Centrifugal Oil Filters for providing economic / eco – friendly filtration solutions in various industries in India & Worldwide. 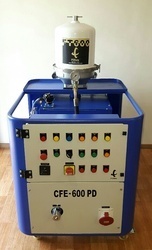 The FILTEK Centrifugal Oil Filter works on principle of a Centrifugal force & is designed to remove particles as low as 2 micron from all Industrial fluids through centrifugal technology. 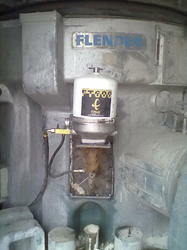 Looking for Oil Filtration For Cement Industry ?